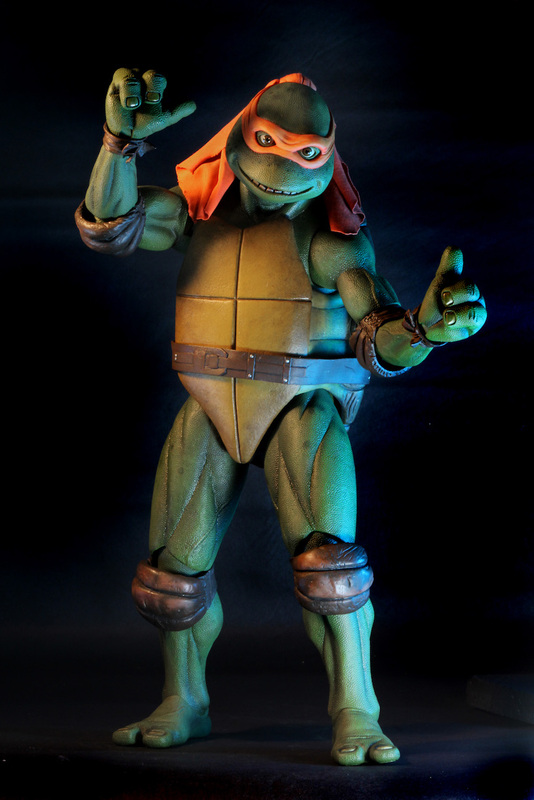 Radical, dudes! 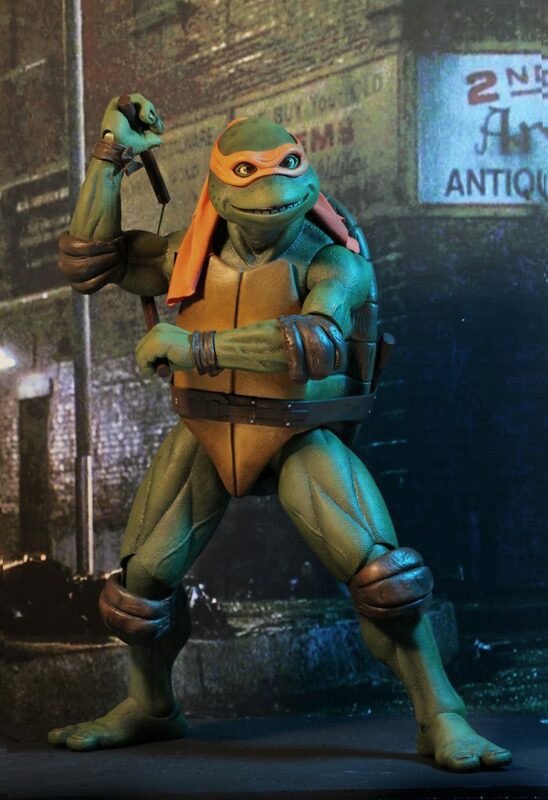 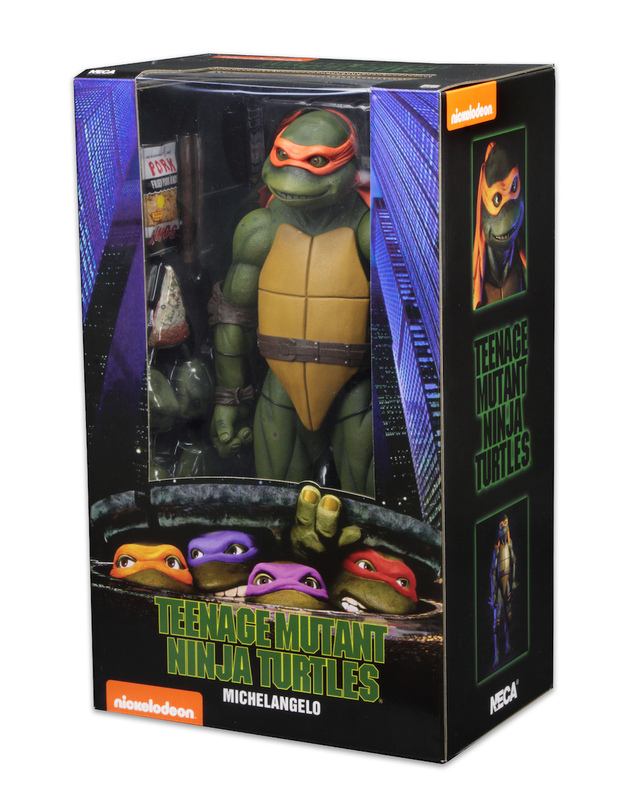 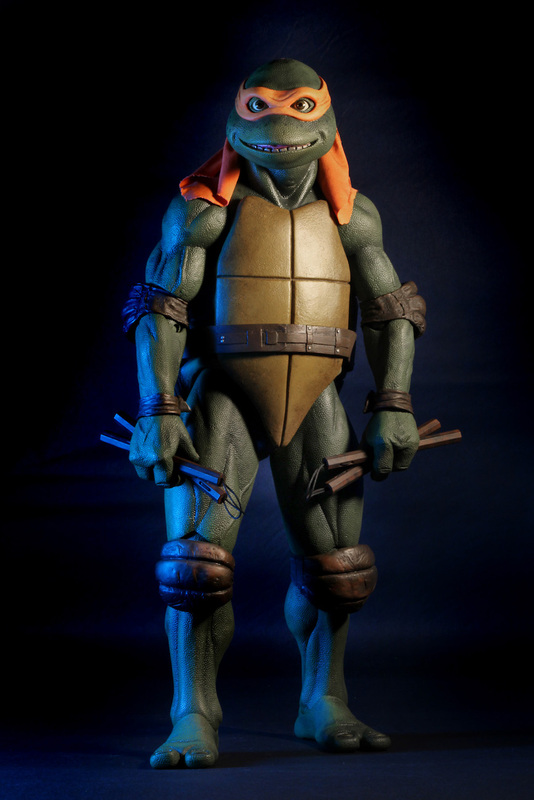 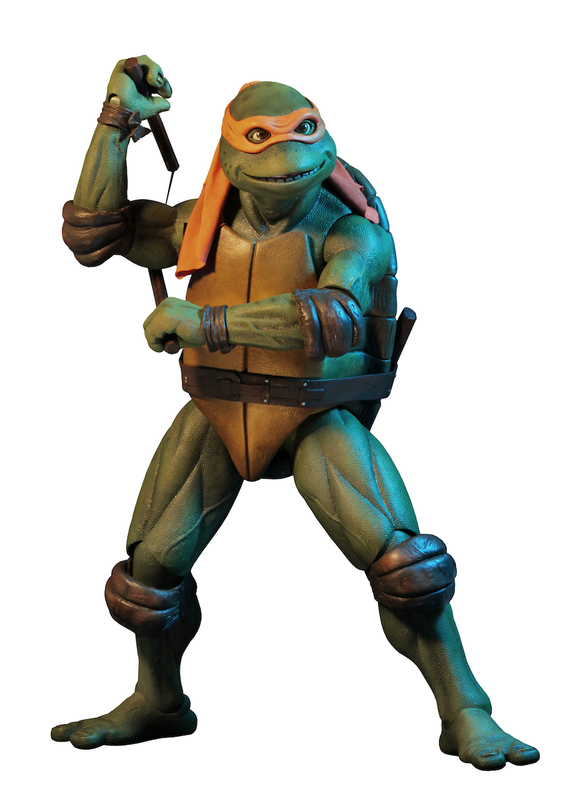 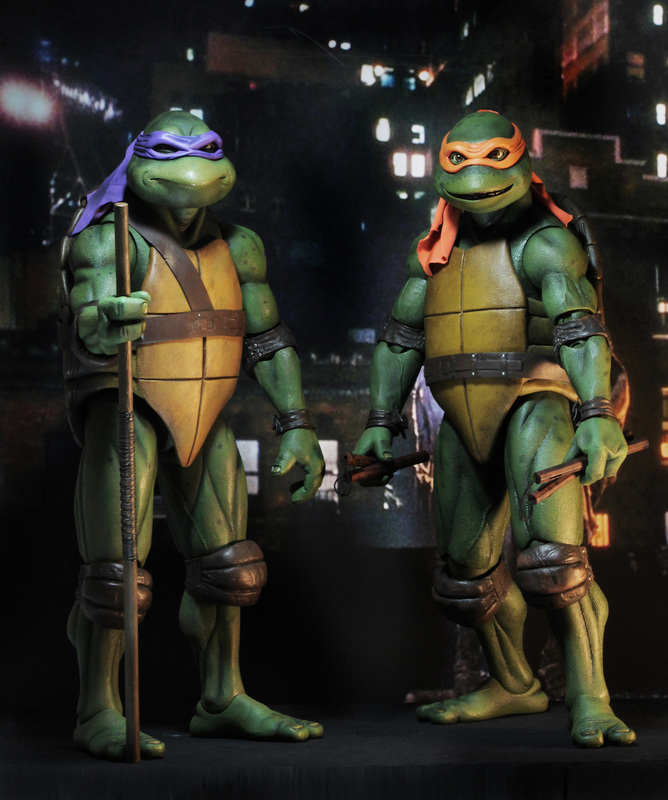 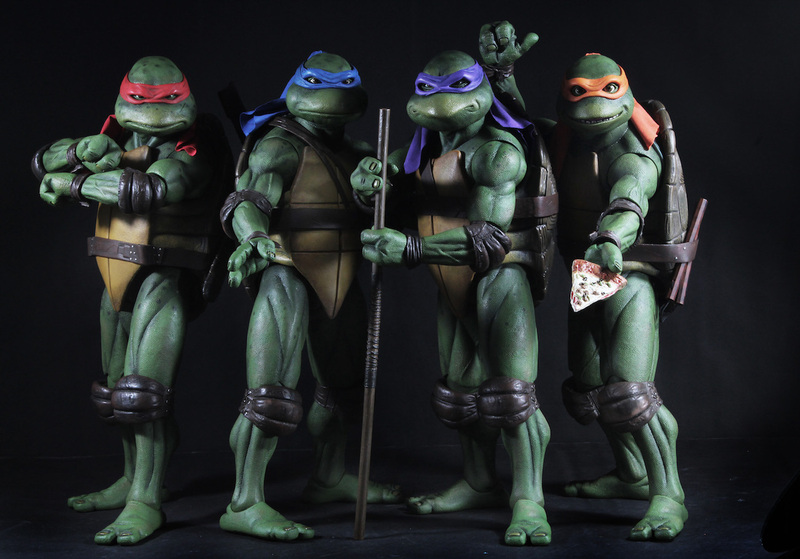 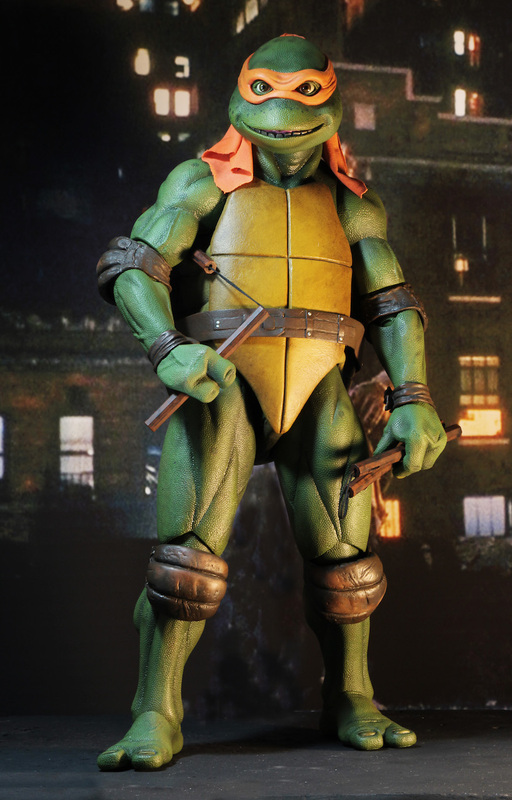 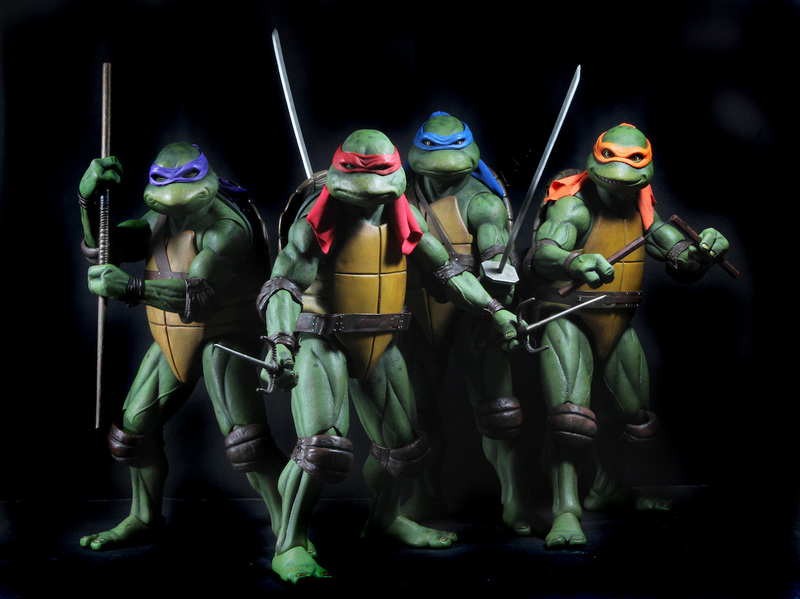 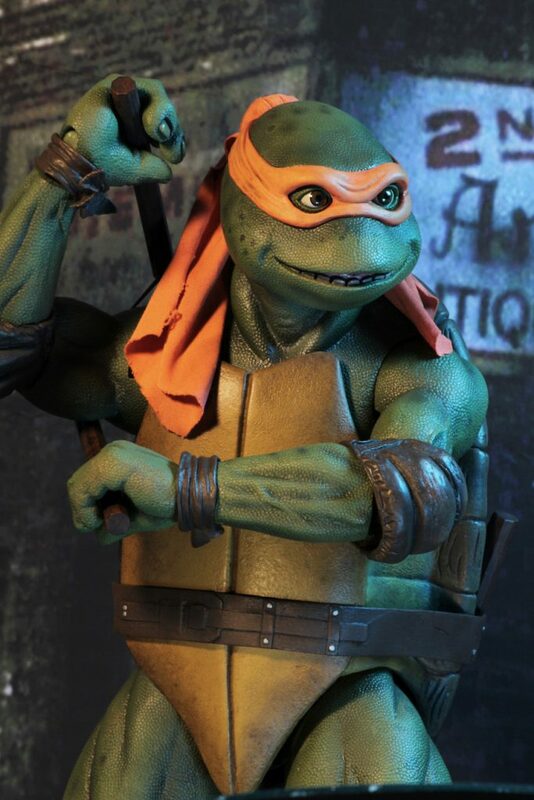 Completing the team, NECA’s fourth 1/4 scale action figure from the 1990 Teenage Mutant Ninja Turtles movie is the easy-going Michelangelo. 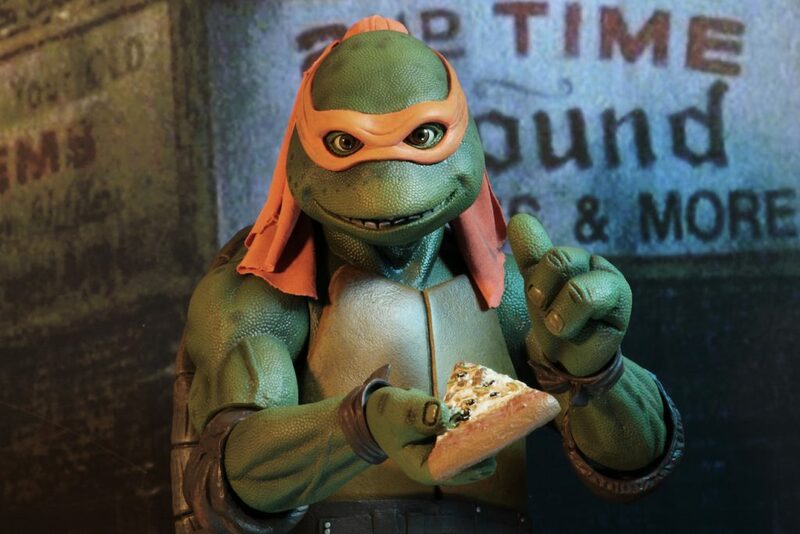 No one loves being a Turtle (or pizza) more than this guy! 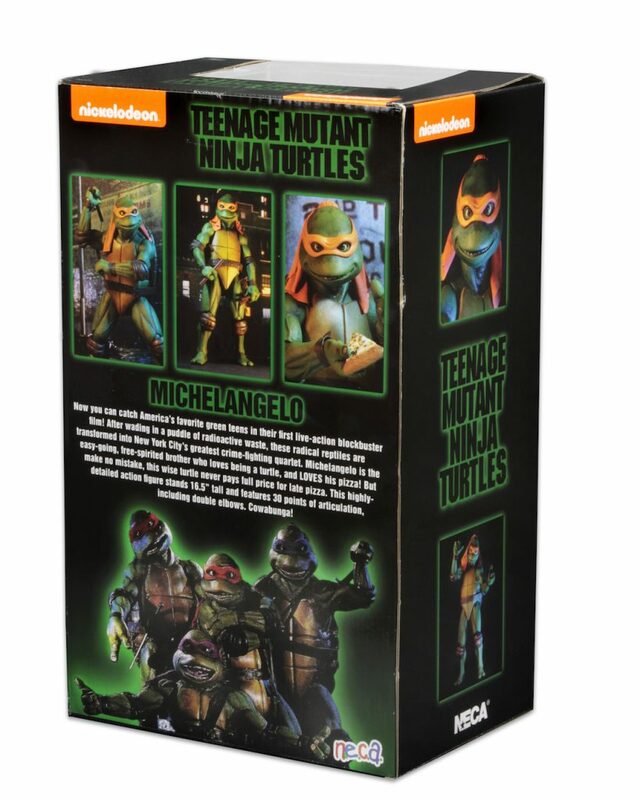 Michelangelo stands 16.5” tall and features 30 points of articulation, including double elbow joints, to fully showcase his stealthy moves. 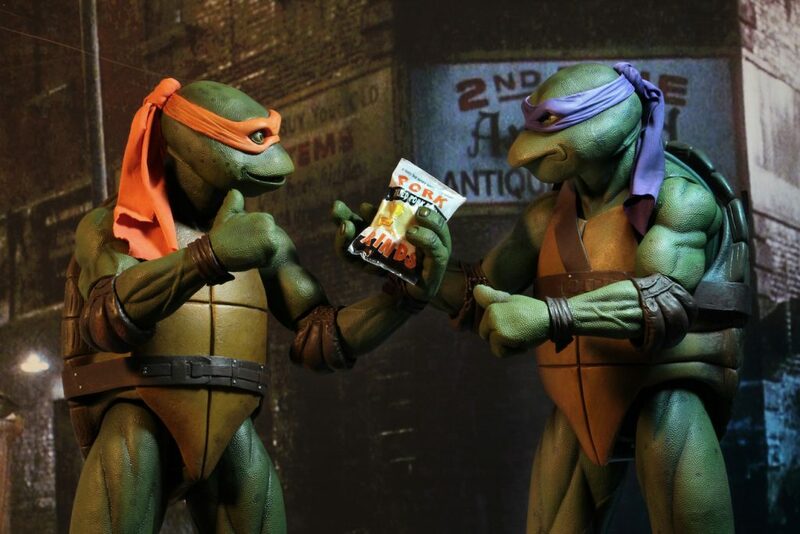 The figure is highly detailed and entirely accurate to the movie, and comes with two nunchucks, slice of pizza, bag of pork rinds and alternate interchangeable hands. 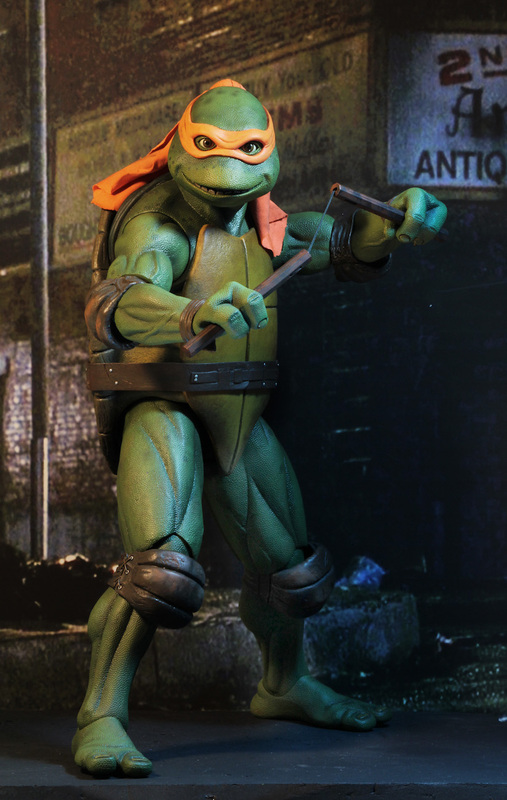 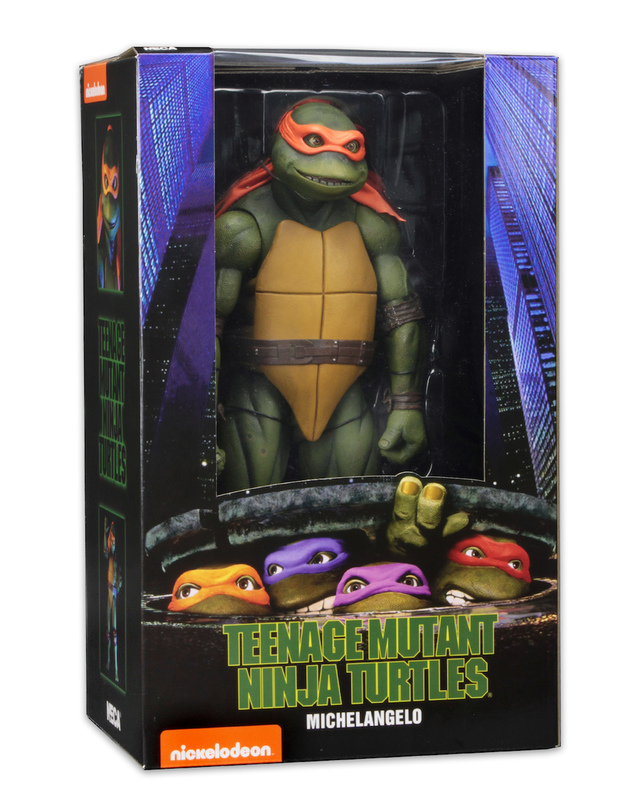 Shipping This Week – Teenage Mutant Ninja Turtles (1990 Movie) – 1/4 Scale Foot Soldier!